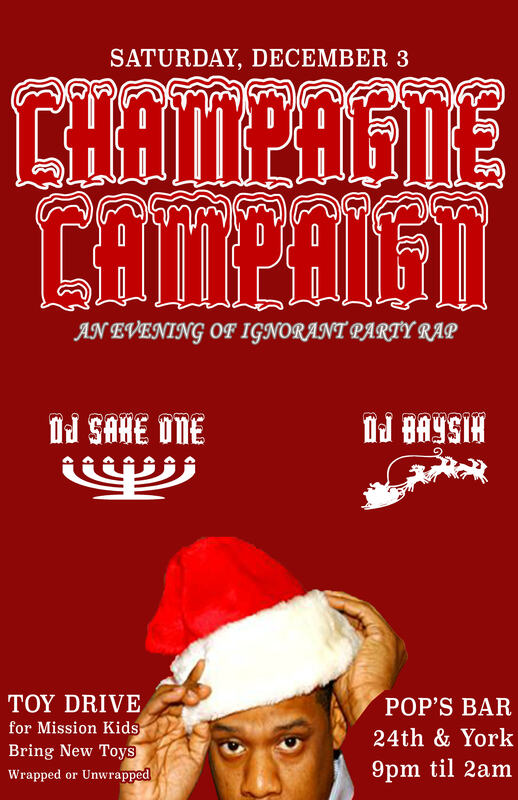 This Saturday, Your ignorant party rap party “Champagne Campaign” will be collecting new toys for kids in the neighborhood at Pops Bar. Bring new wrapped or unwrapped toys to donate and stick around for the best party jams from local DJs Sake One & Baysik. DJ Sake One was recently honored in San Francisco’s Bay Guardian’s Best of the Bay 2016. A true veteran of the Bay Area hip hop and music scene, DJ Sake One is a born and raised renaissance man, known to doing anything from community projects to opening up for big acts such as Mos Def or Kanye West. Whether it’s soulful lounge tracks or bass-filled remixes, his talent and musical palate does not discriminate. So big mission kids, come out, dance all night and help out our neighborhood kids have happy holidays. Moto Monday: Bikes, Booze, and Babes. Come talk shop and kick the Monday blues with our very own motobike loving bartender, Chelsea. Come out and support community radio. The lastest and most lit Hip-Hop / R&B in the city! *Mission Kids Toy Drive* Bring new wrapped or unwrapped toys to donate to the neighborhood.